Was it really a year ago that Modern Warfare 2 was the it-release, and its night vision goggles were the opulent special edition premium. 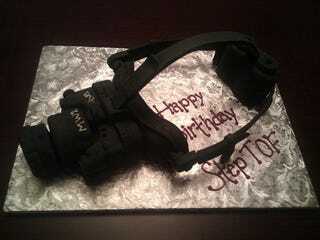 This cake doesn't celebrate that anniversary, it's for "stepTOF," from his girlfriend. Sent in by TEAMCHINA.